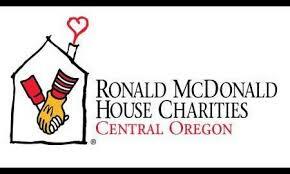 I can't thank the Planner Community enough for all their efforts they made in making over 100 handmade cards for the Ronald McDonald House in Oregon. 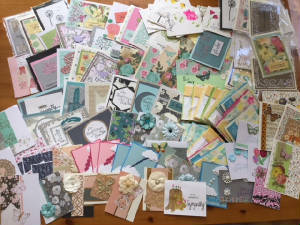 All these cards will be for the parents that have lost their child in the NICU. The personalization on these cards will surely have the parents know we are thinking of them and they they are all in our prayers. My heartfelt thanks to all of you for your support of my charity and making these cards. I love each and everyone of you. Located in Bend, Oregon this wonderful house has a warm, friendly feel from the minute you step in the door. Handmade quilts, toys, and homey atmosphere perfect for a family to stay at. This house features 6 guest rooms, a huge kitchen fully accesible along with a family area with huge fireplace that can be enjoyed from all sitting areas. The handpainted tiles by children adorn the shower walls. The TV room along wth a playroom for the children, create that definate feeling of home. This house provides is a special place for parents, friends and families while they are going through various illnesses with their chlld or infant. Mothers that have babies in the NICU can walk across the street to the hospital.And parents that have children going through specialized treatments also. This makes families from out of town or in the area, have a special place to feel safe and be at in a moments notice from a Doctor's call with all the conveniences of home. The wonderful staff and host of volunteers make this place all that it can be. The personal touches, being there to listen and providing that privacy that families go through. A special Thank You to all the wonderful ladies in the Planner Community that made this happen. This hospital has an invaluble resource for the needs of infants, children and adolescents. 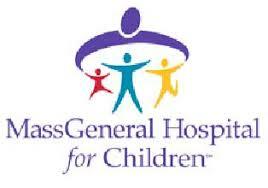 The oldest provider of pediatric that provides compassionate care to children since 1821. The Doctor's specialize in the state of the art care for the children of all ages with malignancies and disorders of the blood. They offer comprehensive and family centered care to children with all types of cancer. 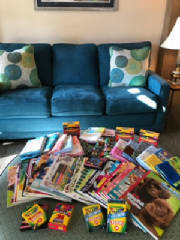 Coloring books, pillow cases, stickers, pens and pencils were sent to the children. My friends in the Planner Community all contributed above and beyond what I asked for to make this all possible. 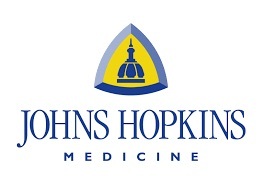 The John Hopkins Hospital is located in Baltimore, Maryland. JHH is a teaching and biomedical research facility. It is a non profit academic medical center. The hospital is regarded as one of the world's greatest hospitals. Many medical specialties were formed at the hospital including neurosurgery, cardiac surgery, pediatrics and child psychiatry. Their mission is to advance patient care, education and research continues to change the course of modern medicine. Over the past decade, Comers Children's have lead breakthroughs in research and have set new standards of care for children. In 2011 they became the fisrt to offer haplo-cord stem cell transplant to children, providing new treatment possibilities to patienst with cancer. They have close to 170n prediatricians that provide care for 22 pediatric specialities. The child life specialists support the kids and the families through art, play, education and activities. 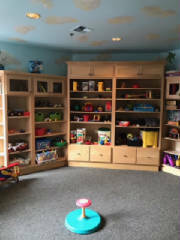 They have over 3000 square feet playroom/teen room and outdoor playground. The friendly green monster, REMOC greets all the kids and families in the lobby of the hospital. I've continued to contribute to this wonderful Children's home with so much help from everyone. I started sending pillow cases in 2011 and we are still going strong. My seamstresses from all over are sewing so many Christmas pillow cases to give to all the children for the holidays. So many others have helped with their support of adding extra goodies this year. Coloring books, crayons and stickers are going to the home also. I could not do this with all the help from my friends, support from the planner community, help from my clients at work and my seamstresses that have done so much through the years. 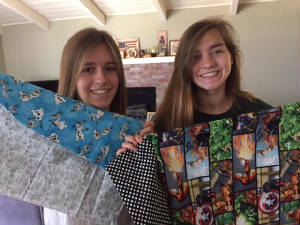 Now teens are getting involved with the sewing too. It's wonderful to see so many helping. I couldn't do this without everyone. 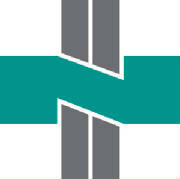 The Zimmer Cancer Center at NHRMC serves patients in North Carolina. The cancer programs conducts clinical trials and and a cancer eegistry that follows more than 19,000 analytical cases and over 11,000 living cancer patients. They offer a wide array of resources for patients and families, hospice, counseling, nutition and many other facets. The Doctor's and healthcare providers are experts in treating cancer and making sure you are understood and cared for. In 2015 they were awarded America's best Hospital in Cancer Care. a family affair. The children always love how cute their pillow cases are. Remarkable Healthcare of Prestonwood is a 120 bed state of the art nursing facility located in Carrollton, Texas. Whether you need short term or long term care, this is a community where you are treated as a neighbor, not just a patient. 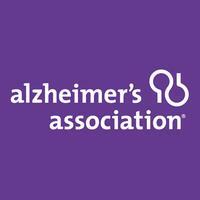 They offer many services ranging from respite care, rehab therapy, hospice care, skilled nursing and IV therapy. The staff and nurses take great care in everything they do to make your loved ones stay comfortable and personal. 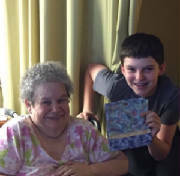 This is James Duchek (pictured above with Gigi) who with his Mom Daisy, delivered pillow cases to Remarkable Healthcare. His Grandmother Gigi, who is a resident here, loved getting the handmade pillow cases from her grandson. The other residents were so happy to have their very own special one also. Its nice when families do this together and jin in spreading so many smiles to the Seniors. Thank so much you two !!! 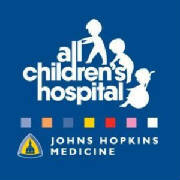 Johns Hopkins All Children's Hospital was founded in 1926 and has continued to grow through many years. The hospital's commitment to children's health in all medical needs of infants, childen and teens. With the ability to care for the most critically ill children, they provide a wide array of developmental and rehabilitative services. Their continued clinical excellance and innovation of care, discovery and education, always keeping the patient and family at the center of care. I know with bringing or sending the colored pillow cases to the various facilities, definitely puts a smile on their faces. Providence Holy Cross is located in Mission Hills, CA . The facility provides high quality specialty services and has won several prestigious awards including the Magnet designation for excellence in nursing services. This Magnet Recognition Program®, awarded by the American Nurses Credentialing Center, is an impressive and important designation, bestowing national recognition on our hospital. With twenty-five years of trauma center as one of only two hospitals in the San Fernando Valley with a Level II Trauma Center designation. Their Cancer Center's five-year survival rates for patients treated for various cancers surpass national averages. For more than 45 years, the doctors, nurses and staff of Providence Holy Cross have been recognized for their commitment to excellent patient care. We will be providing pillow cases for the patients that are in Acute Rehab division. "Power to the Children" is an organization that provides help to 3rd world countries. I decided to help with providing our handmade pillow cases as the children are in need of everything. My wonderful seamstresses have sewn some children themed cases and we have already shipped the first batch to this wonderful orphanage in the Philippines. We will continue helping here and also will send some to Haiti. You can tell by the kids smiles, they are always excited to get things from the U.S. This will definitely be an ongoing project for us. Sutter Children's Center in Sacramento, is a comprehensive pediatric medical center, which serves as the regional referral center for neonatal and pediatric care for more than 27 counties and 50 hospitals throughout Northern California. The hospital handles acute and chronic illnesses from newborn to 18 years at this particular center. Sutter Children's Center, Sacramento is a leader in providing health care for children in the greater Sacramento region and beyond. Each year, Sutter sees to the special needs of more than 1,000 critically ill infants referred to the Neonatal Intensive Care Unit and more than 6,000 children and teens come to Sutter for caring attention to health concerns and conditions. Our team of pediatric specialists and subspecialists are supported by a nursing and technical staff that is known for its expert care and exceptional dedication to children. The Children's House at Baylor is located in Dallas, Texas and is a licensed pediatric hospital where care is comprehensive and healing is fun. There, children from infancy through age 18 receive care for developmental or birth disorders, traumatic injury and severe illness. In addition to our inpatient treatment hospital, OCH at Baylor offers specialized pediatric therapy at our nine outpatient therapy clinics located across the DFW Metroplex. At the Children's House it's a warm Victorian exterior, bright interior colors—even a nurses’ station whimsically modeled after a boat sailing the seas—create a warm, safe environment for your child. They're a safe place where kids can heal, and where parents can find hope. They know you’re walking a difficult road. At the Children’s House at Baylor, they'll walk it with you—every step of the way. The kids feel cared for. They belong. It’s OK to laugh, cry and be a kid. They know it’s not home, but they're a special home away from home. UC Davis Children’s Hospital is a world-class pediatric hospital devoted to the health of babies, children and adolescents with various life threatening cancers.They are the # 1 trauma center for pediatrics in Northern CA.The mission of the "Child Life Program" is to provide a positive environment for the child, one in which they can develop while receiving medical care and/or various treatments. Their goal is to minimize the stress and anxiety of hospitalization and to strengthen the coping skills of the hospitalized child. 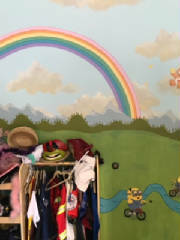 The department utilizes play, music, art and education to help the children cope with their varying health care experiences. 4-28-11 was the start and I have continued throughout the years sending to them. Strengthen Families for over 10,000 parents and children each year at four locations providing family support, outreach, and prevention services throughout the Tampa Bay area. These families are voluntarily accessing services needed to help keep their families strong, such as learning to care for a new infant, install a car seat, learn English as a second language, search for job opportunities, etc. Find & Support Forever Families for over 800 parents and children through therapeutic and traditional foster homes, adoptive services, and kinship services. The Children’s Home licenses and trains foster and adoptive parents so that they are ready to receive a child in their home and supports relative caregivers (kinship families) who are caring for relative children with little support or resources to keep their families together. Heal the Trauma of Abuse and Neglect for 100 children in residence at our healing campus located on Memorial Hwy. There are about 50 children at a time, living in a therapeutic healing environment for about 8-9 months, between the ages of 6-17. They are learning how to set boundaries, goals and how to have a healthy relationship with loving adults. In addition we serve over 700 children and adults in our outpatient mental health program, and community services. For more information about The Children’s Home, how to get involved or to take a tour of our mission, visit www.childrenshome.org. Some of the kids holding up their handmade pillow cases, they were so excited to choose them.